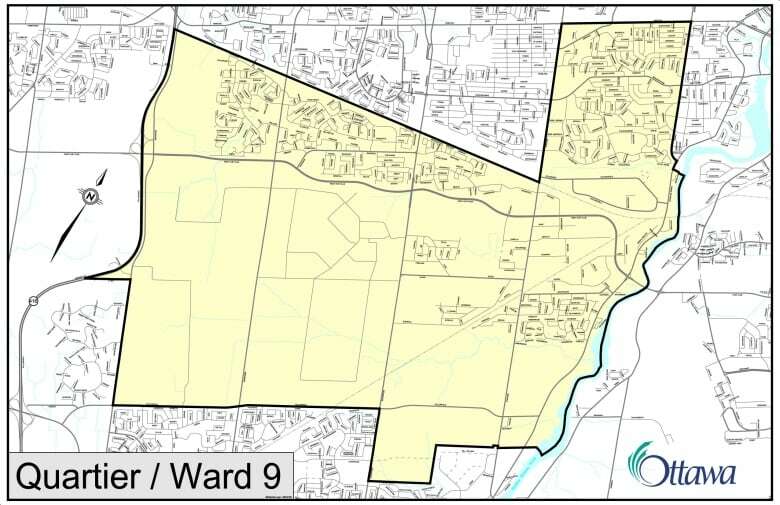 For a recap of how the five candidates see the issues in Knoxdale-Merivale, check out the CBC's Kate Porter tweets from the Tanglewood Community Centre. 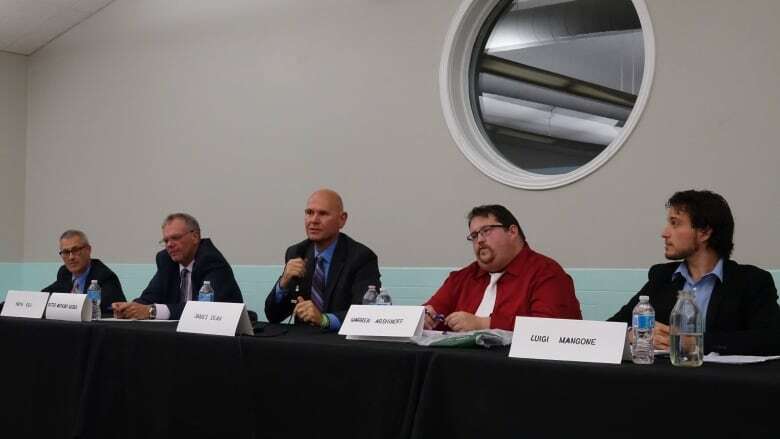 After a long, difficult week dealing with the tornado that destroyed homes and snapped towering pine trees in his Knoxdale-Merivale ward, Keith Egli returned to the election race on Sunday and an all-candidates meeting with the four men who want his seat on city council. Warren Arshinoff, James Dean, Luigi Mangone and Peter Anthony Weber joined him at the Tanglewood Park Community Centre for an event put on by eight community associations. The centre is only a few hundred metres from the damaged Merivale hydro substation that caused widespread power outages after the Sept. 21 tornadoes. Until last week, Egli would have said traffic safety was his number one issue for the ward, but that has been supplanted by tornado recovery. The city needs to give residents services and help to rebuild, and it has to plant many, many trees, said Egli. "It's early to figure out how we're going to achieve that, but that's something I'm committed to working on," he said. Mangone criticized Egli's response in this past week, however, saying residents felt he could have better communicated. Weber, meanwhile, said the military should have been called in to help. Many of the priorities of Egli's four challengers tended to relate to city spending. Warren Arshinoff, for instance, is concerned about Ottawa embarking on the $3.6 billion second phase of light rail before it truly understands whether the delayed $2.1 billion first phase is even a success. He liked the former City of Nepean's "pay-as-you-go" approach. The city's debt was the No. 1 issue for James Dean, a real estate agent and three-time candidate in Knoxdale-Merivale. If the city spent less interest on borrowing, it would have more to invest in police and fire, he argued. Money that flows from a councillor's office was the focal point for Luigi Mangone, who worked in the federal public service for eight years. He suggested Egli could have spent more of his $40,000 traffic calming budget, although Egli explained the money was slow to flow in the beginning of the 2014-2018 council term. Peter Anthony Weber, who worked in construction for three decades and has raised his family in the ward, took issue with photo radar, which he called another tax, and the turf that was put in at the Nepean Sportsplex. On a few questions, Weber had little to say, or took a pass altogether.